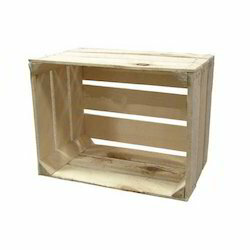 We are the leading manufacturer and supplier of Plywood Crates to our valuable clients. We are engaged in rendering a wide gamut of Plywood Crates which is ideal for long route transportation. These crates are manufactured by our adroit professionals using premium quality wood and the latest technology with the set universal standards. Offered crates are checked against various parameters under the strict supervision of quality controllers to ensure flawless deliveries at client's end. In addition to this, these crates are available in various sizes and shapes that can also be customized as per various specifications of our prestigious clients.